One of the most thrilling aspects of cosmetic science is the pursuit of potent ingredients from the most remote corners of the globe. From the peaks of the highest mountains to the far-off watering holes of barren desserts, exotic plants of disparate varieties hold the keys to revolutionary breakthroughs in anti-aging technology. However, it is incredibly rare to find a plant species that harbors the capability to transform modern skin care, which makes those precious few discoveries all the more important. 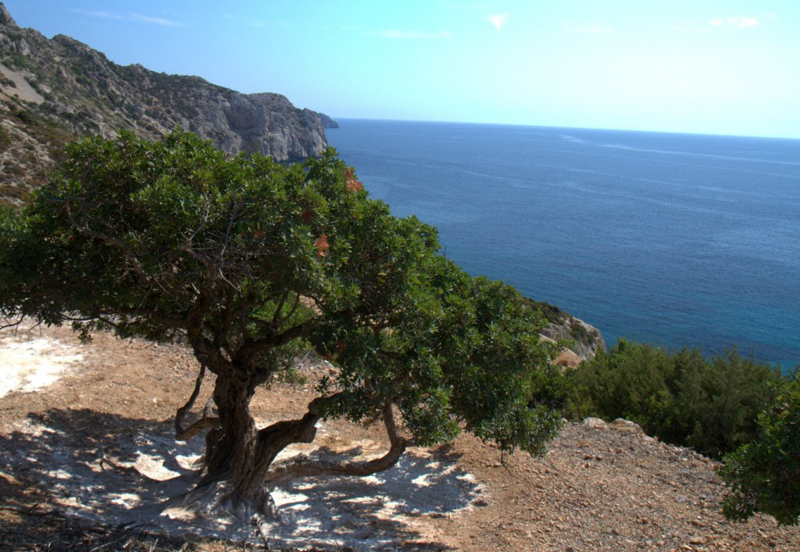 One such breakthrough comes directly from the southern coast of Greece, where the native Mastiha tree produces a potent resin comprised of a rare combination of health benefits seemingly tailor-made for anti-aging skincare. Mastiha, also known as mastic, is a potent natural anti-inflammatory and anti-bacterial resin that has been used for its various medicinal properties since the earliest days of pharmacology. The bold benefits of Mastiha go beyond skin care. Mastiha is diversely utilized in modern medicine for its healing and anti-bacterial advantages in surgical wound adhesion. It has also been scientifically proven to aid in oral and digestive health. This multifaceted resin hosts a litany of skin health benefits including skin brightening, antioxidant protection and anti-inflammatory properties for all skin types and conditions. Mastiha complements acne treatments fighting breakout-causing bacteria on the skin. These essential anti-aging components make this ingredient ideal for the skin healing process post-treatment. With inflammation and pigment reduction on the forefront of the industry, products featuring Mastiha are the versatile solutions for modern home care. The three pillars of MASQ-tech systematically resolve various skin conditions and concerns. MASQ-tech oil dries naturally on the skin providing a matte finish that ultra-hydrates while creating a perfect canvas for skin healing and revitalization. MASQ-tech powder gently exfoliates and absorbs easily into the skin to provide maximum antioxidant protection against dirt, pollution, free radicals, and other skin irritants you encounter on a daily basis. Finally, the MASQ-tech extract melts into skin, producing a brightening and calming effect, which leaves your skin looking healthy and rejuvenated. You can find MASQ-tech exclusively in Lira Clinical's MYSTIQ and ICE Lines. Discovering ingredients in nature with the intense medicinal power that Mastiha has is an incredibly rare phenomenon. It is because of the knowledge that ingredients like these exist that scientists continue to scour the globe in the hopes of one day stumbling upon the next Mastiha.